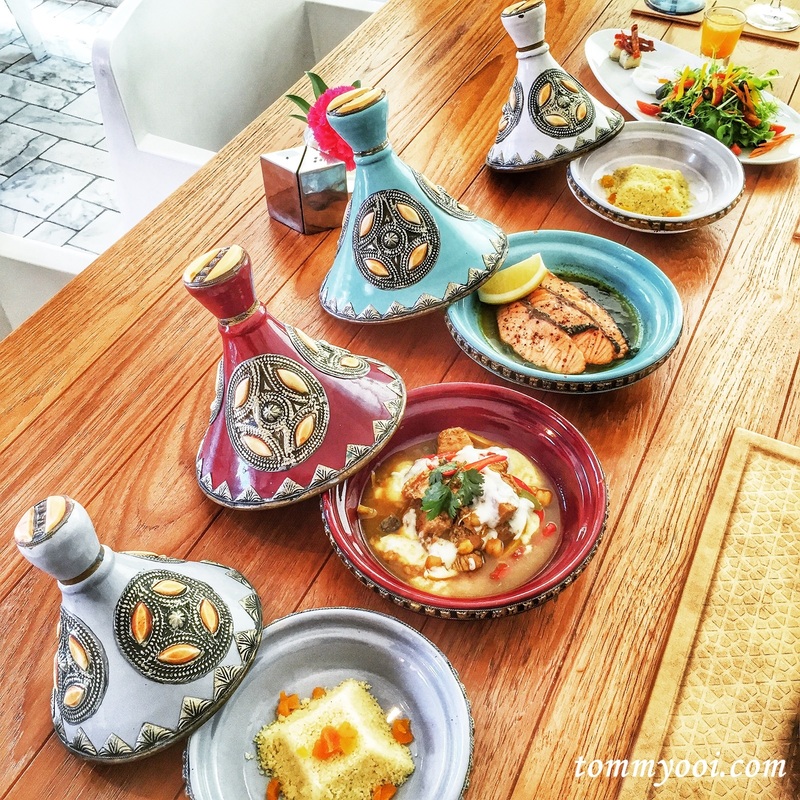 The Al Hamra Restaurant, which means “red city” is the signature restaurant of Marrakesh Hua Hin Resort & Spa serves international cuisine as well as exotic Moroccan food. 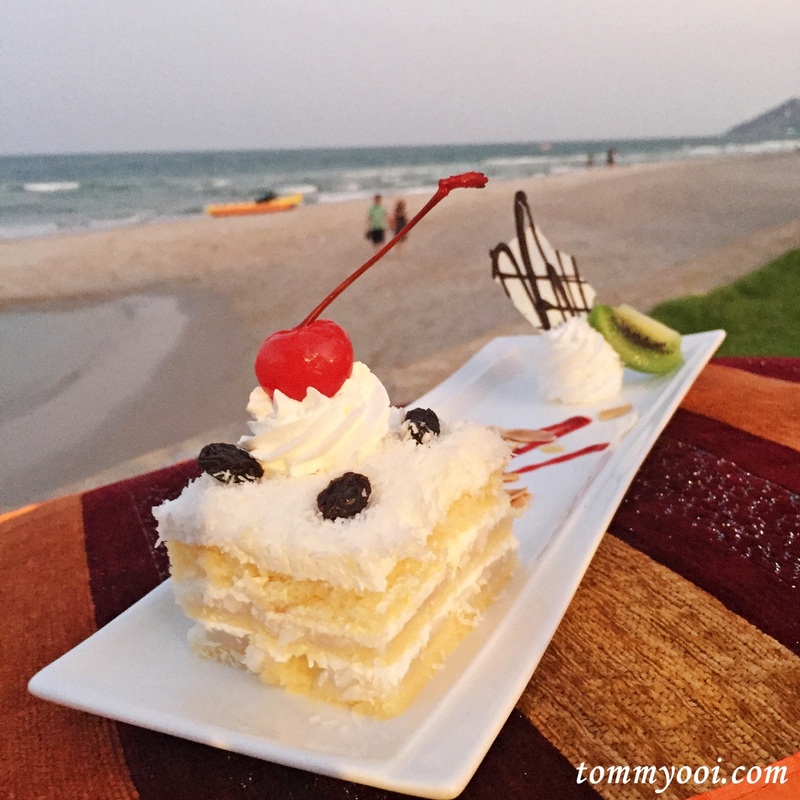 During our stay at Marrakesh Hua Hin, we has the opportunity to try out the restaurant. 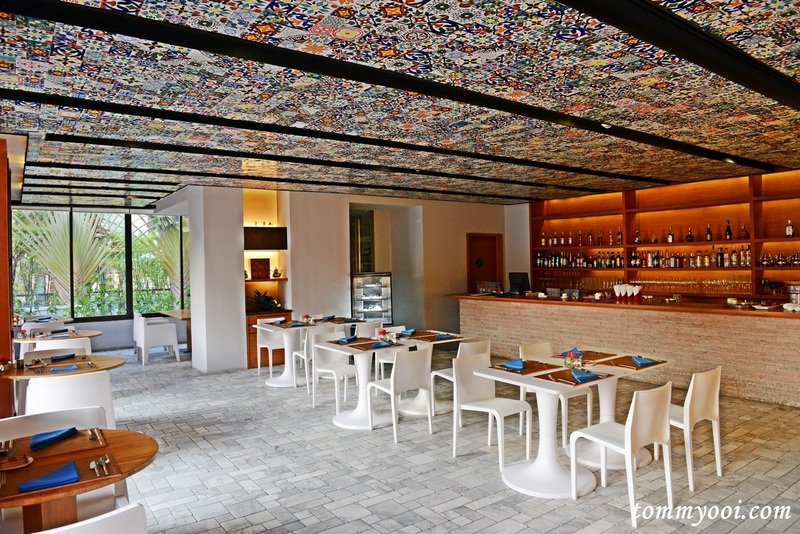 The interior is spaciously designed and is beautifully decorated with colorful hand-painted tiles on the ceiling. There is an a la carte menu as well as buffet, and indoor or outdoor seating with view of the ocean and the swimming pool. The Pavilion can be reserved for private functions and dining. 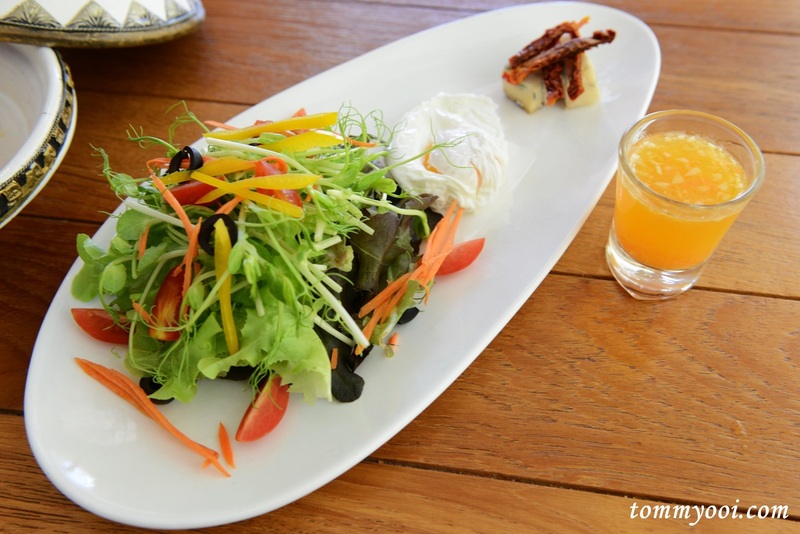 We started with Chef Salad, a mixture of green salad with avocado, poached egg and cheese with Marrakesh dressing. Our main classic chicken stew Moroccan style served with butter couscous. 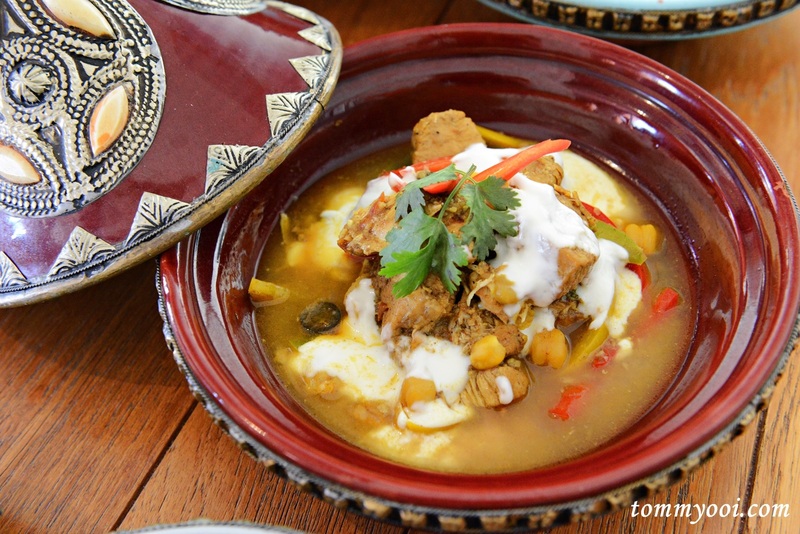 The stew is hearty with complex flavour from the variety of Moroccan spices, while the cream act as thickener, which you can control how much to mix with the stew. The other main was Grilled salmon with Moroccan spices, spinach ragout and couscous. 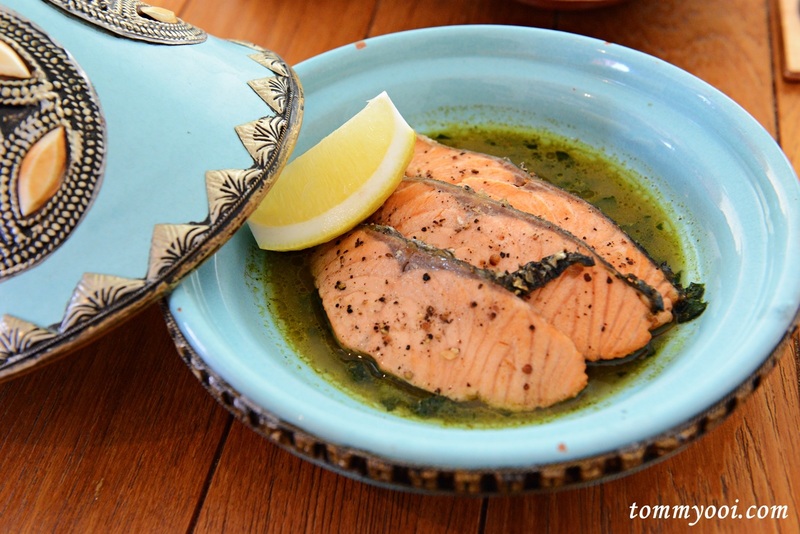 The salmon were nicely grilled not too flaky and the spinach ragout is delicious. 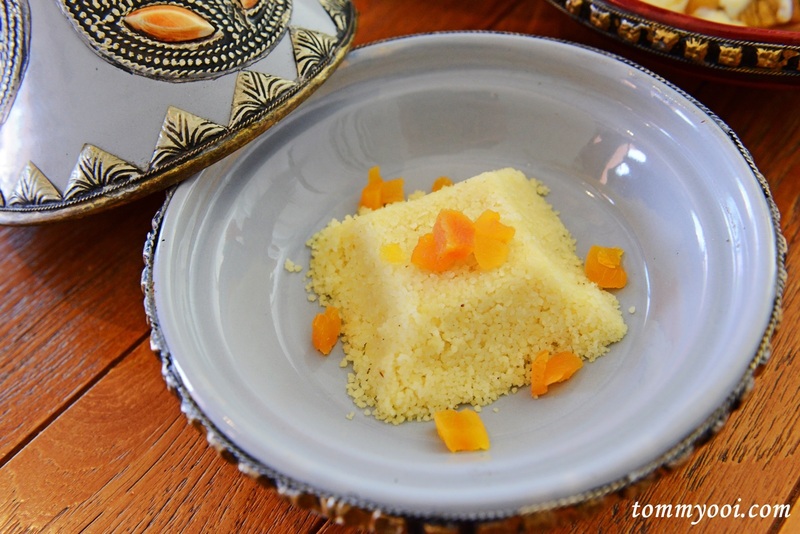 Each main dish will be accompanied with a plate of Butter couscous. We also ordered the Italian Risotto Tom Yum Talay which is their homemade risotto with hot & spicy seafood flavor. 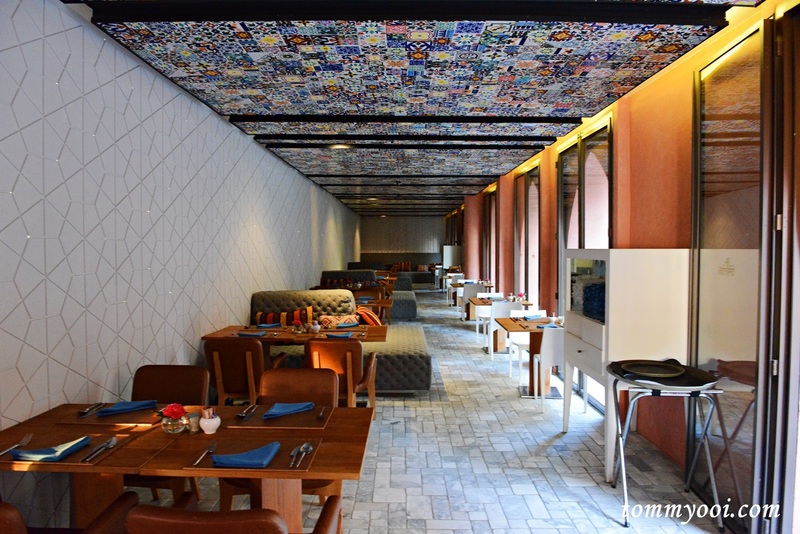 The fusion of Italian and Thai cuisine is fabulous. The risotto is filled with freshness of the seafood with a hint of spiciness. The king prawn was crunchy on the outer layer, firm yet tender on the meat making this dish the highlight of our lunch! 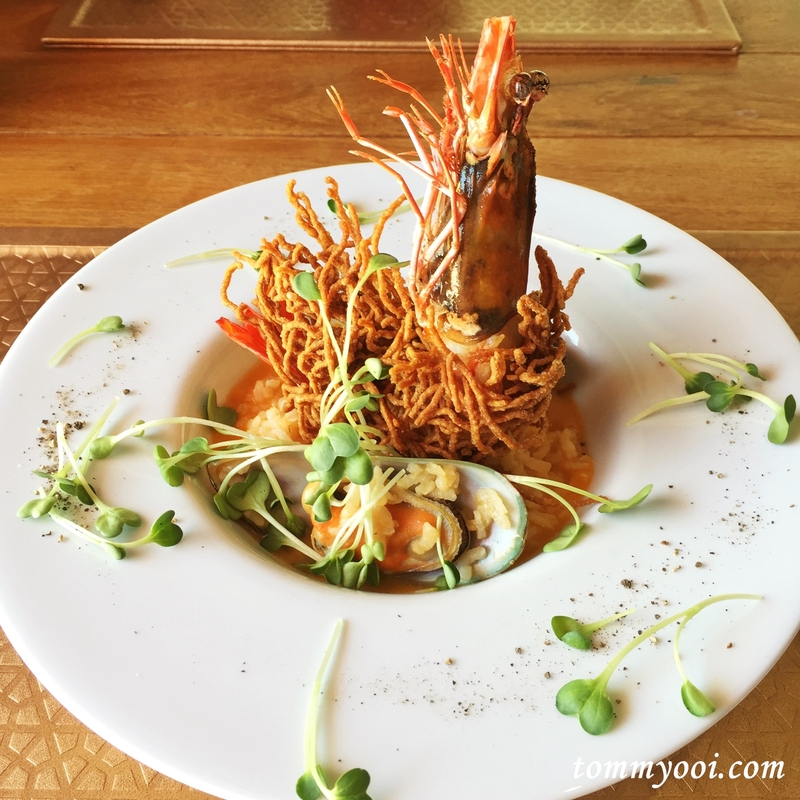 Make sure to try this dish if you happened to be in Hua Hin. Price is very reasonable especially with such huge prawn. 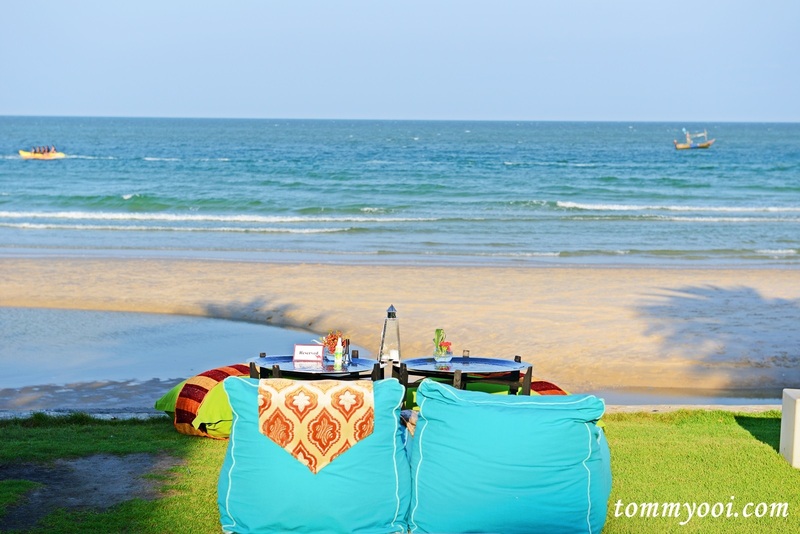 In the evening, Al Janna Beach Bar in Marrakesh Hua Hin Resort & Spa offers one of the best spot for romantic sunset dinner by the beach with a very casual & relaxing setting. Watch beach goers enjoying themselves, with relax on comfortable the bean bags, sipping cocktails while waiting to be served. The If Tah Ya Sim Sim cocktail was fabulous, we couldnt get enough of it. With a dash of peppermint, kahlua, coconut juice & evaporated milk, this cocktail is definitely one of the best we tried before and uniquely at Marrakesh Hua Hin, you rarely will find this cocktail elsewhere. 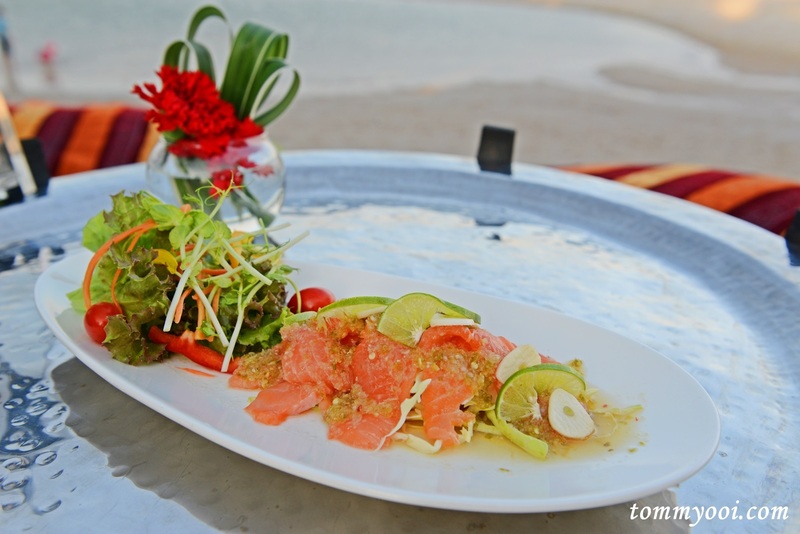 Our meal started with fresh salmon with lime & chili dressing as appetizer, the salmon is really fresh and the lime & chili dressing give a thai twist while enhancing the flavour compared to the normal salmon sashimi. Our next appetizer is Som Tum (papaya salad) with deep fried soft shell crab, the crispy fried soft shell crab was amazing pairing harmoniously with the papaya salad. It is so much better than the som tum we tried at Som Tum Nua in Bangkok. 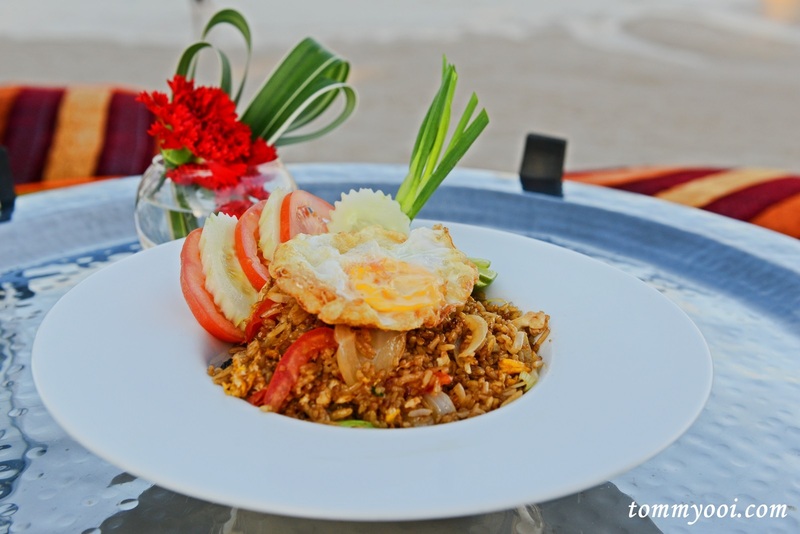 Our first main is wok fried herb fried rice with nuts, beans and seafood hua hin style. Slight different from the usual thai fried rice as it uses more soy sauce. 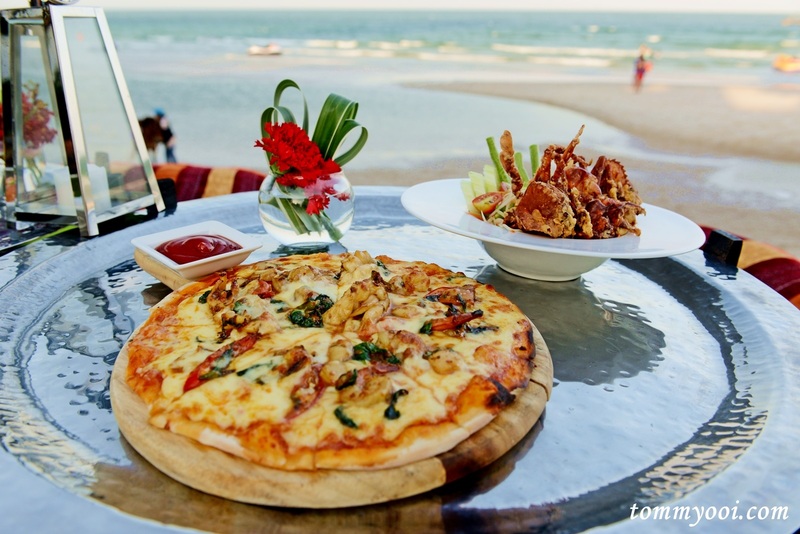 Our 2nd main course, hot and spicy basil seafood with mozzarella cheese pizza. 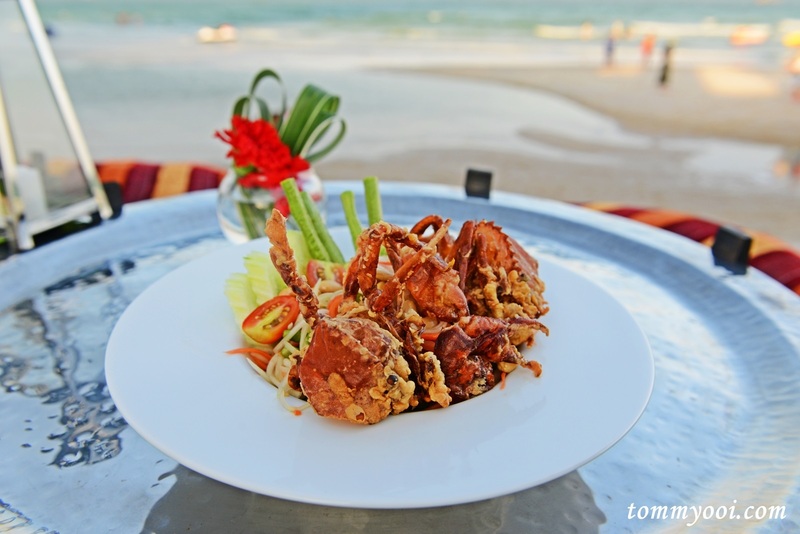 One of the top rated dish in Marrakesh Hua Hin and we have to agree. The medium thickness pizza with plenty of fresh succulent seafood topping such as squid, prawns topped with generous amount of mozzarella cheese. Cheeseylicious! The portion of every dish is quite big, hence we were very full & satisfying by the time to have dessert hence we could only settle for one dessert which is the coconut cake. 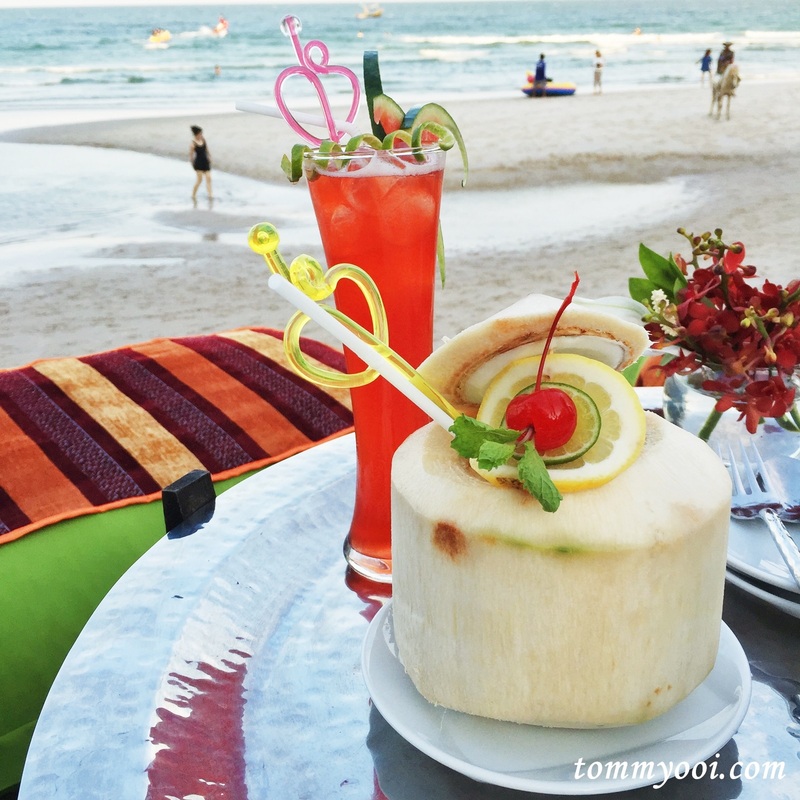 The casual, relaxing yet romantic ambiance at Al Janna beach bar not to forget amazing to die for food is definitely not to be miss!